My quilt is bound and washed. 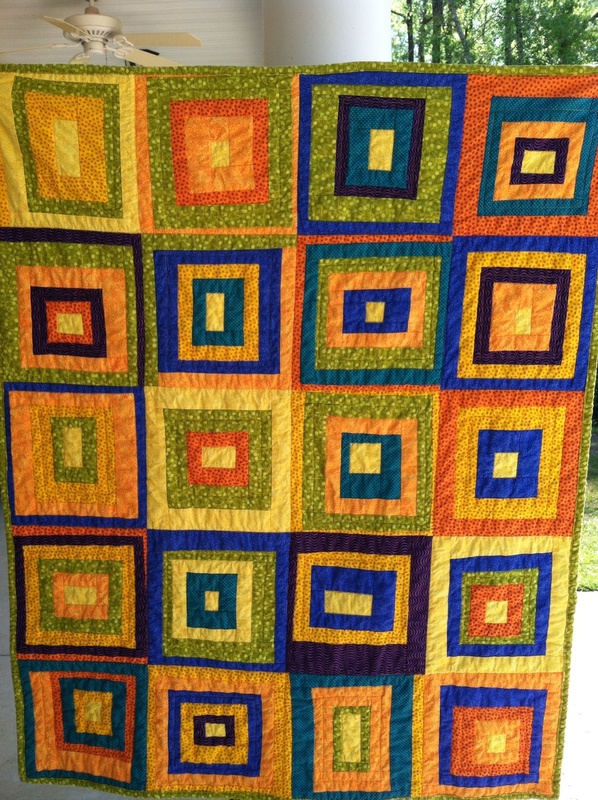 I like the way it gets fluffy between the quilting after its washed and dried. Now, what next?? I think pink! 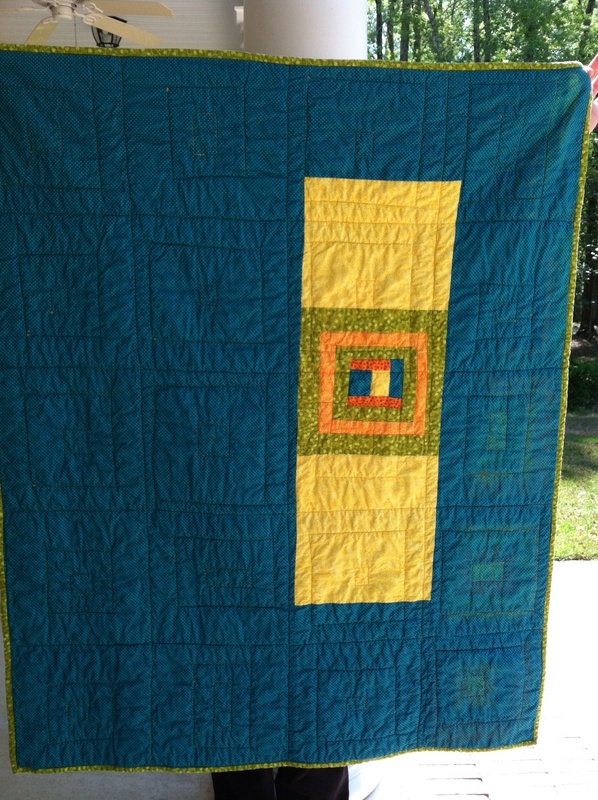 This entry was posted in Uncategorized and tagged Beginning quilting, Log Cabin quilt, Modern Quilting, Wonky Log Cabin. Bookmark the permalink. 3 Responses to I Finished My Quilt! That is beautiful!! Nice work! I love it. Awesome job. No one will believe it’s your first quilt. Diane, it’s beautiful! I love the back. It’s an amazing first quilt. You didn’t talk about how you did the binding.